Whether it’s a once-in-a-lifetime trip to a world-class honeymoon destination or spending a well-deserved week in an international outdoor vacation hotspot, you’re going to remember your next international trip for a long time to come. Hopefully for the right reasons. Crime can happen anywhere, to anyone. 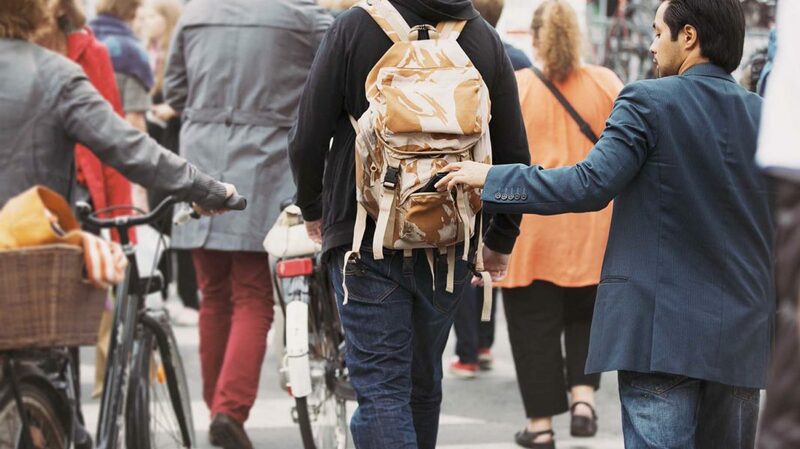 You probably know someone who’s been pickpocketed, mugged, or worse in their hometown – if you haven’t been victimized yourself. But international travelers, who often have limited or nonexistent familiarity with the local language and customs, are especially vulnerable. You owe it to yourself and your family to take precautions to protect your physical safety and financial integrity while you’re abroad. In this post, I’ll clue you in on some straightforward precautions that everyone can and should take while traveling abroad. I’ll also draw on my own experience to illuminate some general and specific scams and safety risks that you may well encounter in foreign lands. 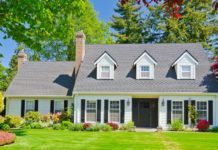 No matter where you’re going, take these basic precautions to safeguard your life, money, and property. The first rule of traveling abroad is: Don’t get lost. When you’re in an unfamiliar land where no one speaks your language and none of the signs make sense, that’s easier said than done. I’ve never been seriously lost in a foreign country, but I’ve experienced temporary disorientation more times than I can count – sometimes to frightening effect. Keep two things handy at all times to ward off full-blown “where am I” panic: your smartphone and a map of the local area. If there’s decent cell coverage in your area, your phone’s GPS function should work in airplane mode. When I’m wandering around an unfamiliar city, the little blue dot on my Google Maps app is a godsend. Use it, like I do, to worm your way out of confusing warrens. Procure an English-language map, if possible, and mark your home base. If it helps, use a pen or marker to trace your walking, driving, or transit routes to local points of interest. It’s harder to get lost when you can clearly visualize where you need to go and what you need to do to get back home. Spend some time studying your destination’s road and transit systems. Ideally, you want to determine the fastest mode of transport for every activity you’re planning: riding the subway to the museum across town, walking to the local street market, taking a taxi to the hilltop park, and so on. You also want to know how much it costs to get around. Is it better to buy a multiday subway pass or single-ride tickets? When does a taxi make financial and logistical sense? Is it practical to rent bikes or use the local bike sharing system? Ask these and other questions to get familiar with your destination and reduce uncertainty and indecisiveness once you’re on the ground. Your telecom provider’s talk, text, and data plan probably doesn’t apply outside the United States. If you want your phone to work abroad, you’ll need to sign up for an international plan. International plans vary by provider. Verizon’s daily plan costs $5 extra per day, per device for talk, text, and data in Mexico and Canada, subject to applicable data and text limits and surcharges; and $10 extra per day in approximately 140 other countries. For short trips, that’s probably your best bet (though, if you use your phone a lot, be aware that surcharges will likely push your final costs higher than $5 or $10 per day). For longer trips, or if you travel out of the country frequently, monthly international plans make more sense. Verizon’s start at $15 per day, per device in Mexico and Canada, and $25 per day, per device in 140 other countries. Again, surcharges will push your final cost higher. A more generous plan, at $25 and $40 per day, per device respectively, includes 100 free talk minutes and a modest text allowance. Messenger Apps: Facebook Messenger, WhatsApp, and Skype all work well abroad – though some major countries, including China, block Facebook content. These apps are all free, cheap, and great as SMS/text replacements when communicating with locals and fellow U.S. travelers in the same country. The catch: If you don’t have an international calling plan, they all need Wi-Fi to work properly, so you may need to duck into a cafe or head back to your hotel room to get a signal. Prepaid Phones: Pick up a cheap “burner” phone with a local SIM card for use in emergencies only. Some high-end hotels give their guests free burner phones. On a recent trip to Bangkok, my wife and I were lucky enough to get one from our boutique hotel. Local Language Cards: Carry a local language card that describes where you’re staying and how to get there. This is useful when your language comprehension is inadequate, and in confusing cities where taxi drivers and public safety officials lack detailed mental maps of town. Pay Phones: Pay phones do still exist, especially in countries with limited mobile adoption. In Bangkok, for instance, you could find pay phones near major transit stops, on public plazas, in big hotels, and other crowded places. Just make sure you know how much they cost and how to use them. Embassies and consulates don’t grow on trees, but in countries with which the U.S. has normal diplomatic relations, all national capitals and most sizable cities should have an official U.S. outpost. If you’re staying in a rural area, have the nearest outpost’s phone number handy. As a casual tourist, you don’t need to be fluent in the local language, but you shouldn’t be completely oblivious either. In the weeks before your trip, spend a few minutes each day learning the common phrases you’ll need to get by. The BBC rounds up nine top phrases here. You’ll want to learn more, especially if you plan to get off the beaten path, where locals aren’t as likely to know any English. Use a free smartphone translation app such as Google Translate to get your pronunciation down pat. Pro Tip: If you’re planning to stay in-country for weeks or months, or your trip involves close interaction with locals, you’ll need to up your local language communication and comprehension game. Consider investing in software-based language course through reputable providers like Rosetta Stone or enrolling in business language training classes. A three-month Rosetta Stone Spanish subscription costs $59, for example. 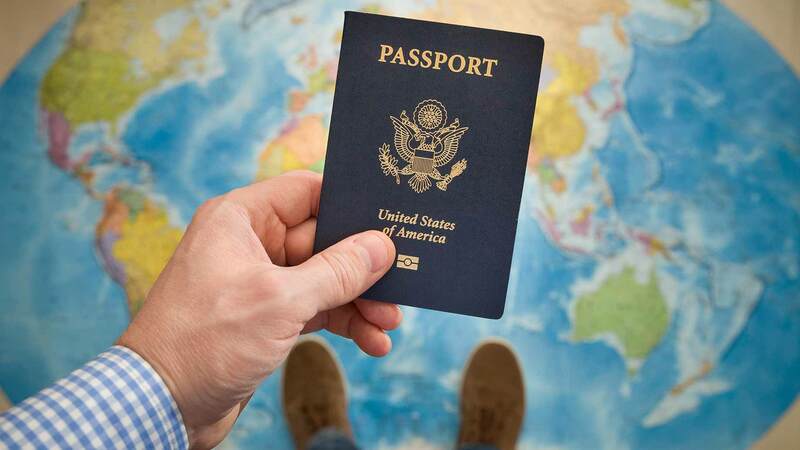 Avoid the hassle (and potential missed travel connections) by leaving your passport in your hotel or hostel room safe at all times. Don’t simply leave it on the desk in your room. If someone takes it, for whatever reason, you’re in the same boat. Substitute your state-issued ID – it’s not a practical replacement for your passport, but at least it has your name and picture on it. Pro Tip: Think twice about staying in a hotel or hostel without a room safe. While safes aren’t foolproof, they’re more secure than luggage left in the room. Left alone long enough, an intruder will find important documents, cash, and cards concealed in your stuff. Leave most of your cash in your room safe too. When you leave your room, only bring out what you need to pay for the activities and purchases you’ve planned for that specific journey. For instance, if you’re planning to hit a museum, old house of worship, and a restaurant for lunch, then return to your hotel, bring only what you’ll need to pay for those three things, plus a small buffer for on-the-road purchases like bottled water or snacks. You’ll also want to have a travel rewards credit card that doesn’t have foreign transaction fees. Not only is this safer than cash, you’ll also earn valuable rewards for your spend. Use common sense with valuables when you’re out and about. Don’t show strangers your wedding ring or silver necklace, openly count your cash on the street, or fumble around with payment cards at the ATM. If you’re really worried about looking like a target, you should literally dress yourself down. Wear plain clothing and simple shoes, leave jewelry in your room safe, and dial back on affluence-signaling makeup or personal care products. It sounds morbid, but pictures of your loved ones – and their passports – can aid your efforts to find them should they (or you) go missing. Passport photos or copies can expedite your replacement passport as well. Pictures are especially critical for local authorities with limited English. A lot can go wrong abroad: canceled flights, missed connections, natural disasters, sudden illnesses, theft, and more. While a comprehensive travel insurance policy from Allianz Travel can’t undo problems that have already occurred, it can prevent things from getting worse – and provide financial redress for covered events that impact nonrefundable travel and lodging plans. For more on the importance of travel insurance and the benefits of protection, check out my detailed explainer post: What Is Travel Insurance and Do I Need to Buy It? Among other things, it explains why it’s important to get a policy that covers the cost of medical evacuation – a ruinously expensive service that could save your life in an emergency abroad. 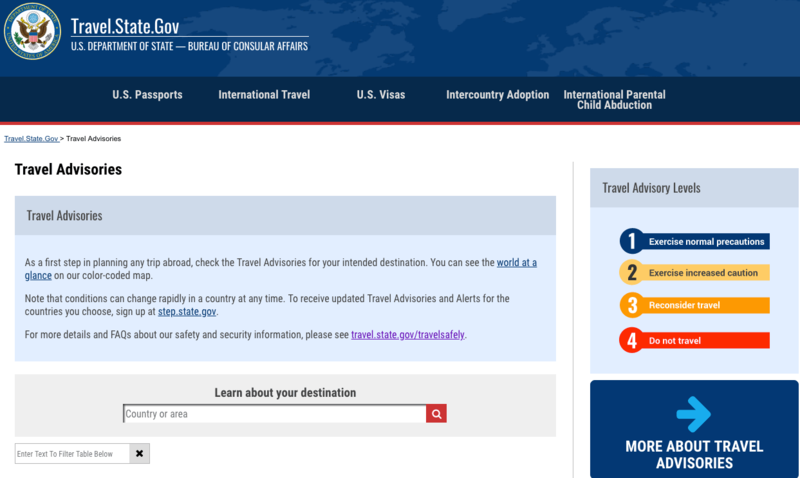 Before finalizing your travel plans and making any nonrefundable reservations, check the U.S. State Department’s travel alerts and warnings. The State issues these bulletins when warranted by unsafe or unstable conditions on the ground. Many covered countries are places you probably aren’t considering visiting for pleasure or business anytime soon, unless you work for an NGO or branch of government: Iraq, Afghanistan, North Korea, South Sudan. The list does include some currently or formerly popular destinations for U.S. tourists as well: Mexico, Europe, Egypt. While you shouldn’t automatically cancel your planned trip to Cancun or London simply because of a State Department alert or warning, you should read the bulletin carefully and perhaps adjust your internal itinerary or travel dates based on what it says. On a recent vacation in Costa Rica, my wife and I adjusted our evening plans in the northwestern city of Liberia, where the State Department had flagged a temporary spike in property and violent crime exacerbated by an overstretched local police force. Though we didn’t personally encounter any problems, we did see evidence of the crime wave: the local Walmart’s parking lot was patrolled by heavily armed private guards. International travelers face a slew of potential scams and threats to their personal safety. These are among the most common. Squirreling most of your cash away in a secure pocket, preferably one on the interior of your clothing or bag. Here is an inexpensive travel pouch you can use to hide cash or passports. In a past post about common types of theft abroad, I discussed a little-known but increasingly prevalent type of petty crime: high-tech credit card theft that exploits vulnerabilities in EMV (chip) credit cards. Basically, it’s easier than you think for high-tech hackers to steal your credit card information in broad daylight, without ever laying hands on your wallet. There’s no completely foolproof protection against high-tech petty theft, but RFID-blocking wallets can help. If you’re concerned about your cards’ vulnerabilities, give your issuer a call and ask to speak with a member of their data security team. Hackers and cyber criminals menace everyone who uses the public Internet, not just hapless newbies trawling the dark web for the first time. International travelers are opportune cybercrime targets. They’re at their most vulnerable on unsecured public Wi-Fi networks, where their Internet-connected devices are open books to anyone within range. On unsecured networks, capable cybercriminals can execute “man-in-the-middle” attacks to read and capture any sent or received passwords, account numbers, personal identifying information, sensitive content, emails, and chat messages. Avoid Open Networks. Avoid connecting to open Wi-Fi networks unless absolutely necessary. Look for secured alternatives. Use Your Phone’s Hotspot. If you have an international data plan with reasonable limits, use your phone’s Wi-Fi hotspot in place of public networks. Just watch your data carefully, as international overage charges are exorbitant. Use a Virtual Private Network. If you must connect to an open network, use a Virtual Private Network (VPN) or other anonymizer to encrypt your computer’s data flows. (VPNs also mask your real location – useful for travelers who want to watch U.S. shows in countries where they’re not allowed.) I have used VPN Unlimited in the past and it’s worked out great. Minimize Sensitive Activity. Avoid logging into any accounts, including email and social media, if possible. Definitely avoid sensitive portals, such as bank accounts, health management accounts, and work-related platforms or services. If you’re traveling for work or working abroad, don’t view or upload any client-related content until you’re sure your connection is safe. Update Your Security Software Before You Travel. Don’t let cybercriminals exploit outdated security software on your phone or laptop. Before leaving home, confirm that all the devices you bring have up-to-date versions of anti-malware programs (if you use them) and system-critical applications. Later versions are more likely to be protected against ever-evolving cyber threats. In the United States, taxi drivers pretty much always use their meters, unless they’re driving a flat-fare route authorized by the local taxi commission. At this point, you probably use Uber or Lyft for short-distance rides in the U.S. anyway. In some other parts of the world, ridesharing apps aren’t yet common, or tourists can’t access them because they lack smartphone data service. In those places, you might have no choice but to take a taxi. When you do, make sure the driver turns the meter on. It’s probably required by law, though said law may or may not be reliably enforced. 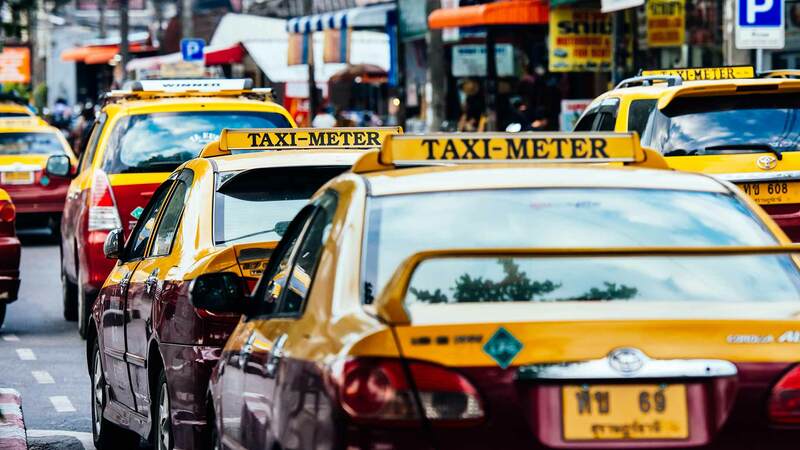 On an otherwise affordable trip to Thailand, my wife and I encountered at least a dozen taxi drivers who either outright refused or strenuously resisted my meter request, asking instead for flat fees well above what they’d earn from the meter alone. They were most reticent in touristy areas, where they rightly assumed non-locals wouldn’t know any better. This one is easy. Always ask your driver to turn on the meter before the car starts moving, and get out without further discussion if they are unwilling to comply. Don’t buy the “but the meter isn’t working” excuse. Ask a reputable local, such as your hotel concierge, whether it’s ever appropriate to make exceptions to this practice – for instance, on rides to and from the airport. In some parts of the world, unlicensed taxis are common vectors for muggings and petty theft. Once you’re inside with the door shut, you’re at the mercy of the driver and whoever else might be lurking in the second or third row of seats. When in doubt, have your hotel or hostel call a taxi on your behalf. Don’t accept rides from people in unmarked vehicles, no matter how enticing the price or how friendly they seem. And always confirm that your driver is licensed: Once you get in the taxi, compare their photo (which should be prominently displayed in the cab) with their in-person likeness, and note their taxi and driver identification number. Be wary of locals bearing news of closures at popular attractions. While in Thailand, my wife and I encountered a seemingly helpful guard outside Wat Pho, one of the most popular attractions in Bangkok. We were walking along an outer wall of the complex, away from the tourist throngs, and couldn’t see that people were happily queuing to get in through the main entrance. All we could see was a lonely gate blocking off a deserted service entrance. Inside, the wat looked empty. The guard was perfectly positioned, as it turned out. He asked us if we were trying to visit Wat Pho, we said “yes,” and he delivered the bad news: The wat would be closed through early afternoon for a royal funeral. In the meantime, he suggested we take a tuk-tuk tour around central Bankgkok. He took our city map and circled a few attractions along the route our personal driver would take. Smooth as silk, he then flagged down a passing tuk-tuk and told us not to pay a cent more than 100 baht – less than $4 – for the experience. At this point, we were suspicious. Even in Thailand, where Western money goes a long way, that was an insanely low price. And the tuk-tuk driver seemed a bit too eager to get on his way. Scam alerts raised, we politely thanked the guard for his time, waved off the driver, and hustled away. When we got back to the States, I spoke with a friend who’d been to Wat Pho the year prior and confirmed what I’d already suspected: that the “wat is closed” scam is one of the oldest and best-worn tricks in the book. The precise setup varies, but it’s likely that our driver would have wrapped up our Bangkok tour with an “unscheduled” visit to an out-of-the-way market, where we’d be pressured to buy expensive and probably counterfeit luxury goods. I suppose that’s better than being mugged, but if the end result is the same – that is, an empty wallet – then who’s to say by how much? You can combat it with an equally simple safeguard: double-checking any such claims with a reputable source, preferably before you leave your hotel or hostel. Or just look online for up-to-date opening times for each attraction you plan to hit that day. This easy-to-execute scam is distressingly common. 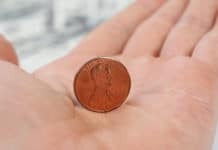 It has many iterations, but the end result is the same: You end up with “counterfeit” money that you have reason to believe is worthless – and you let the people who “alerted” you to your predicament keep the change. Counterfeit bill scams are especially common at mom-and-pop currency exchange windows, taxis, and restaurants – places where accountability is minimal and police oversight is lax. Counterfeit bill scammers rely on the inherent knowledge discrepancy between seasoned locals and clueless tourists. When they confidently proclaim that the bill you just handed them is fake, who are you to argue? They know the local currency better than you, after all. And they assume you’ll be too worried about your own liability to ask questions that could reveal the scam. Be hyper-vigilant during cash transactions and keep close watch on anyone who handles your money. If you can help it, don’t let big bills out of your sight. Wwatch the entire exchange, from start to finish. This isn’t possible when the cash register or change wallet is out of sight, but you can at least watch your money-changer until he or she leaves your field of vision. If you’re really worried, take pictures of all your high-value notes. Their serial numbers may help the authorities prove or disprove their authenticity. This risk thankfully isn’t as common as pickpockets or meterless taxis, but its worst-case consequences are a whole lot worse. Spiking someone’s drink with toxic or incapacitating substances is a form of assault in its own right. And it’s usually a prelude to something worse – often sexual crimes. Though it’s not wrong to say that women traveling alone should take special care to avoid this risk, it can happen to anyone. Always keep your wits about you in social settings abroad. View with polite skepticism anyone who approaches you for a chat, however affable they seem. And never leave your drink unattended – even for a minute – even if others you trust are around. I wish I could say with any degree of confidence that this is a complete account of the physical and financial perils you could face overseas. Whether you’ve traveled abroad countless times or are in the midst of planning your first journey outside North America, there’s no way you can anticipate every potential threat to life and limb. There are too many unknown unknowns in this world: perils about which we don’t know that we don’t know. The best you can do is keep a watchful eye for anything that looks out of place, and to try to anticipate as many eventualities as possible. Just try not to let it spoil your good time. Have you ever been victimized while traveling abroad? What happened?